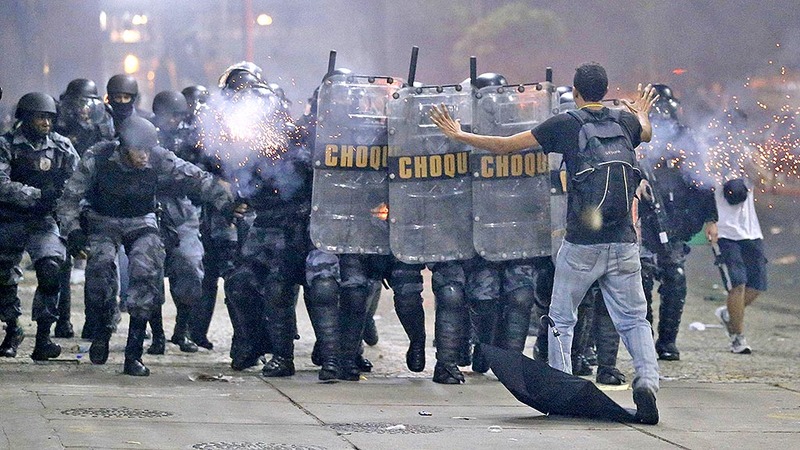 In a recent article in IstoÉ magazine, Paulo Moreira Leite expressed concern over the riots that happened in major Brazilian cities in June showing signals of fascist ideas, and representing a threat to democracy in the country. A demonstrator in the riots. I recently came across a good translation in The New World Lusophone Sousaphone. The original article can be found on Luis Nassif Online.